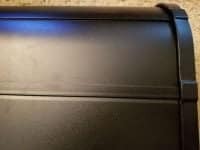 Best Mailbox With a Great and Easy Way to do the Mailbox Installation! Best mailbox is a matter of opinion and you have a lot of choices. Residential mailboxes come in a variety of styles. 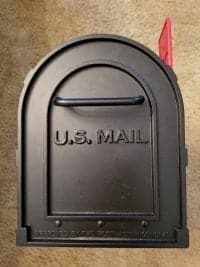 You can choose a plastic mailbox, metal mailbox, decorative mailboxes, wall mount mailbox or a locking mailbox. 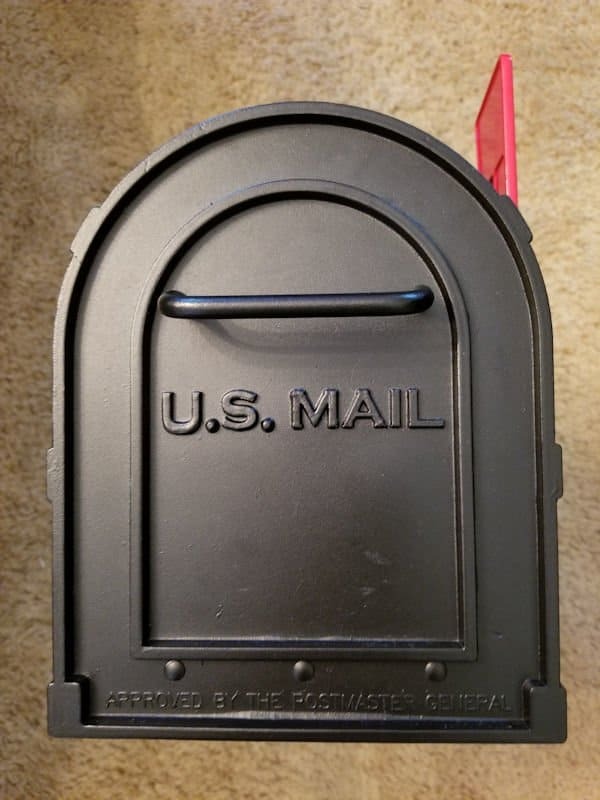 Originally I considered a locking mailbox but I ultimately decided to go with a traditional mailbox with post. What is the Best Mailbox? In my opinion the best mailbox I found is the Salsbury Industries Heavy Duty Rural Mailbox. green or white. 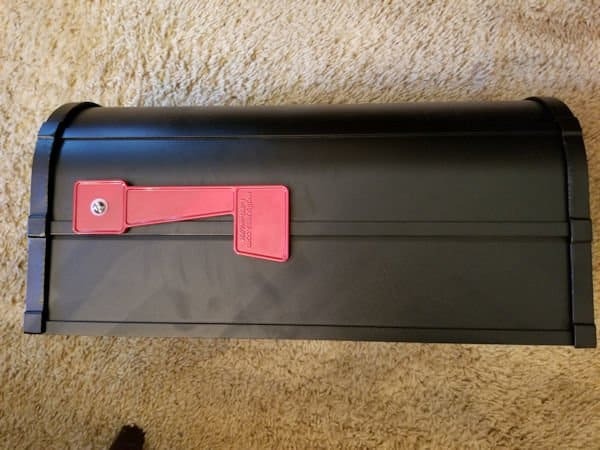 I picked the black mailbox. One feature I really like is the mailbox door has a strong magnet that holds the door shut. It is a really nice touch, no more mailbox doors hanging open. 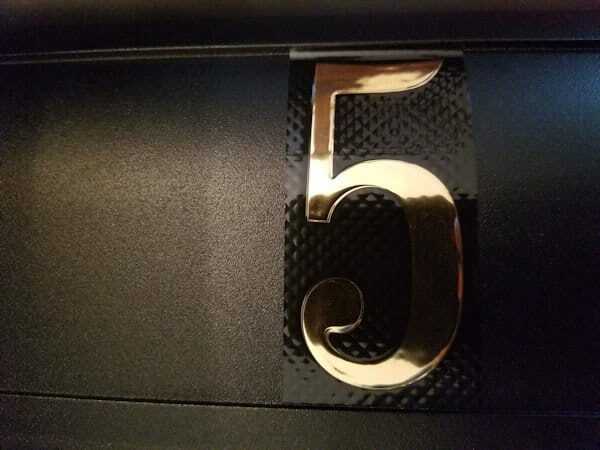 I also used large 3″ inch mailbox numbers, Hy-Ko Products MM-5N Self Adhesive Vinyl Numbers 3″ High. This is where I had only a slight issue with the mailbox. I wanted to place the numbers on the side of the mailbox, the area on the side of the mailbox to place the numbers only had room for about 3″ inches. Two ridges run along the side of the mailbox, which limits space for the numbers. I like the ridges because they make the mailbox look good and they give the mailbox added strength. I applied the numbers on each side of the mailbox, the numbers didn’t quite fit and overhung the space ever so slightly. This is purely cosmetic. I could have left it but I decided to get some scissors and trim a very small amount at the top of each number to fit it into the roughly 3″ inch area. After I did that they fit perfectly. I think this is a great mailbox, but with the mailbox you also need the best mailbox post to go with it. 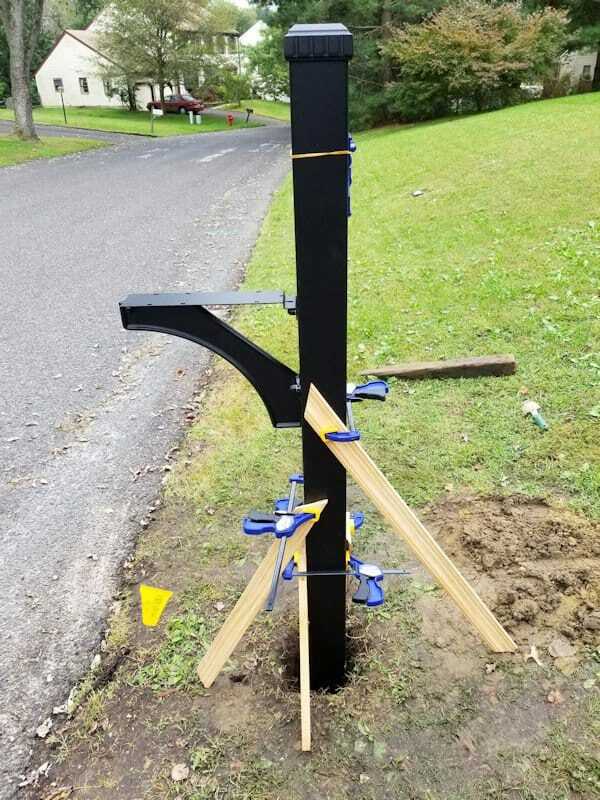 The Salsbury Industries Designer In-Ground Mounted Decorative Mailbox Post is the companion mailbox post for the mailbox. The mailbox post comes in three styles and several colors. The post is just as high quality and heavy duty as the mailbox. It is 81 inches tall and is made of aluminum. The inside of the post is hollow but do not try and put a 4×4 piece of wood inside the post when you install it. The mailbox post is designed to be installed into the ground as is with nothing inside the post. 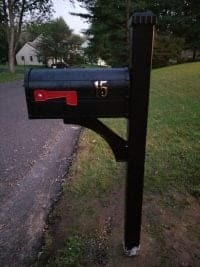 After doing extensive research I think this is the best mailbox and mailbox post combination you can find. For the mailbox installation I was originally going to take the traditional route. This involved sticking the mailbox post on top of a 6 inch deep bed of gravel and filling the hole with quick set concrete. 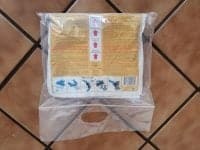 I was all set to do this until I came across a unique product that I hadn’t seen before. 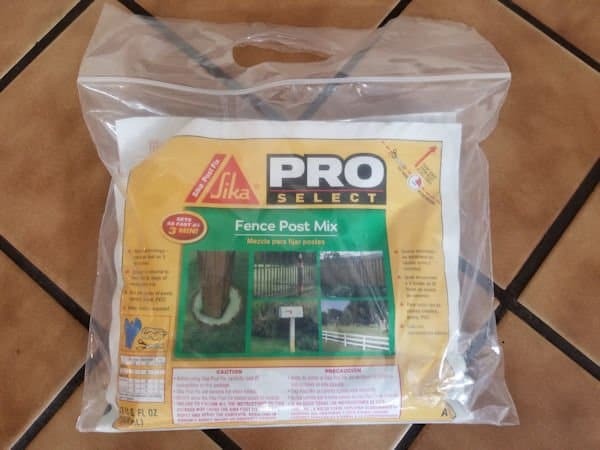 It is called Sika Fix Fence Post Mix, this is a foam used to install posts. When I first came across Sika Post Fix I scoffed at the idea of installing anything in foam, it seemed ridiculous that it could ever work. I thought to myself, I’ve used foam in a can plenty of times to fill holes so I am familiar with foam and how easily it breaks apart. This of course is not the same foam you get in a can. 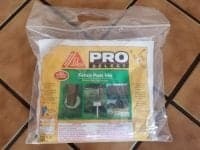 Sika Post Fix is a high density foam which makes it very tough. Intrigued by this I decided to just try the foam. 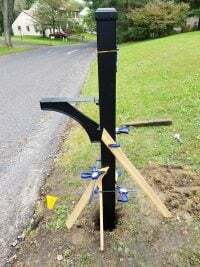 If it was terrible and didn’t work I could easily just rip the mailbox out of the foam and go get some gravel and concrete and do it the traditional way. I also did it on a Saturday so if it was a complete disaster at least I would have Sunday to try and fix it and I wouldn’t have to worry about the mail carrier showing up trying to deliver mail and finding no mailbox. Being extremely skeptical that this foam would actually work. I watched a lot of videos and read all of the instructions about how to properly use the foam. Eventually I felt pretty confident that I could at least apply it correctly. I really wanted this to work, if it didn’t work it was going to be a real pain to have to start over and I really wasn’t very excited about having to lug bags of concrete and gravel around. 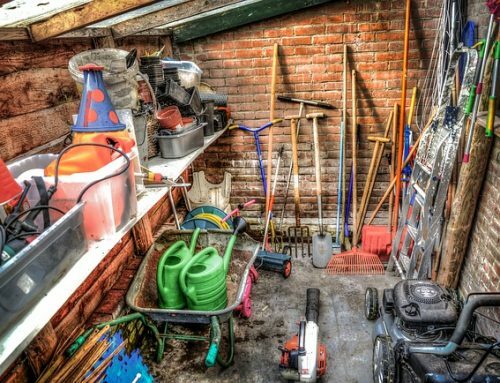 Before you dig always make sure to call 811 to mark any possible utility lines in the area. 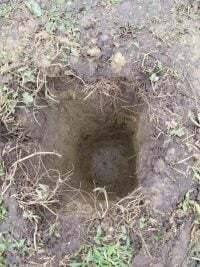 hole 9″ x 10″ inches in diameter and 33″ inches deep. 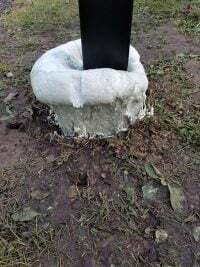 The old mailbox post was stuck into the ground without any concrete over 20 years ago. We have heavy clay soil and since it was almost three feet deep it certainly seemed like it was installed with concrete. It was extremely difficult to remove from the ground. The Salsbury mailbox post is a 4 x 4 post and is roughly 62.5″ inches from the floor of the mailbox to the end of the post. 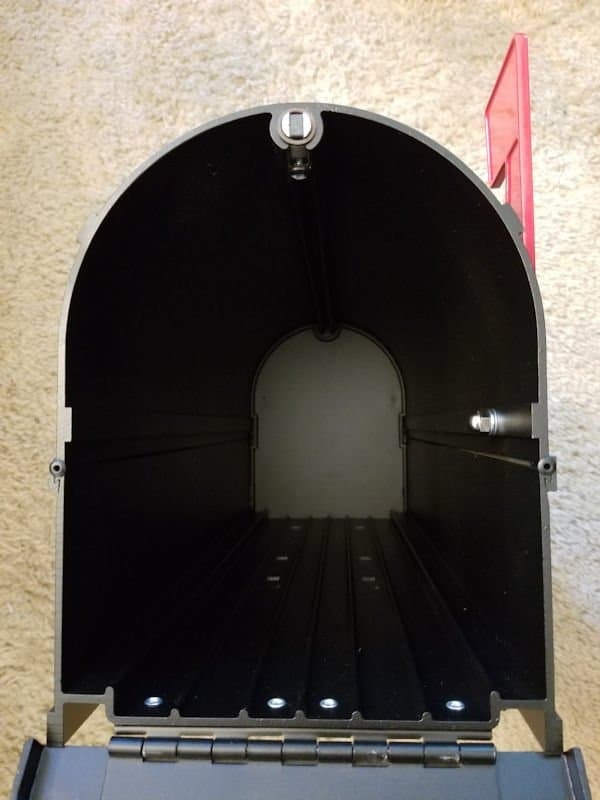 I could not install the mailbox post 36″ inches deep per the instructions since it would sit far too low and not meet USPS specifications. Post office specifications state the mailbox should be between 41″ to 45″ inches from the road surface to the bottom of the mailbox or mailbox entry point. 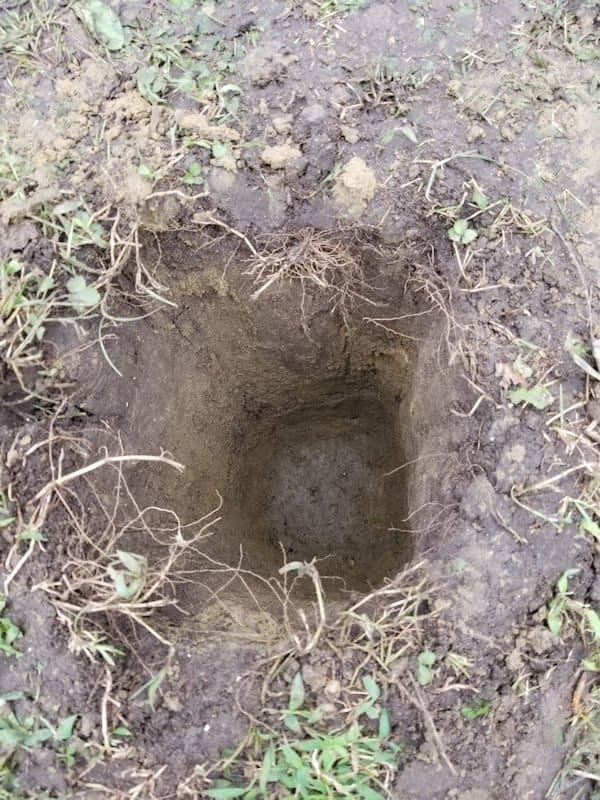 I decided to back fill the 33″ inch deep hole up to about 19″ inches deep. I tamped it down using part of the old mailbox post I broke off when I removed the old post. 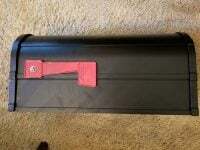 At 19″ inches this made the floor of the mailbox sit at about 43″ inches high. After following all directions on the bag I placed the mailbox post into the hole. 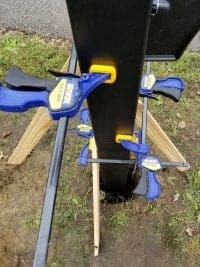 I made sure everything was nice and level and braced it with IRWIN Tools QUICK-GRIP Clamp Set and pieces of wood I found lying around. I made sure everything was level using the IRWIN Tools Magnetic Post Level. 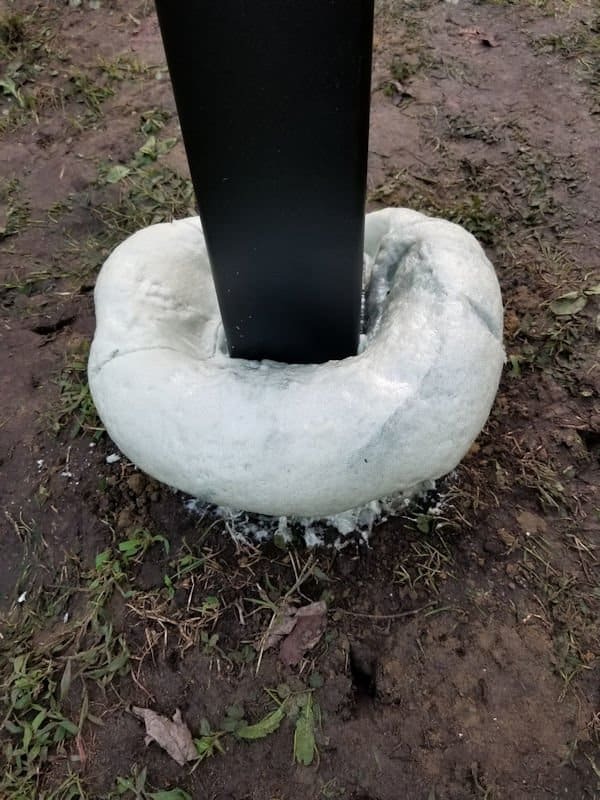 I then poured the foam liquid around the post. 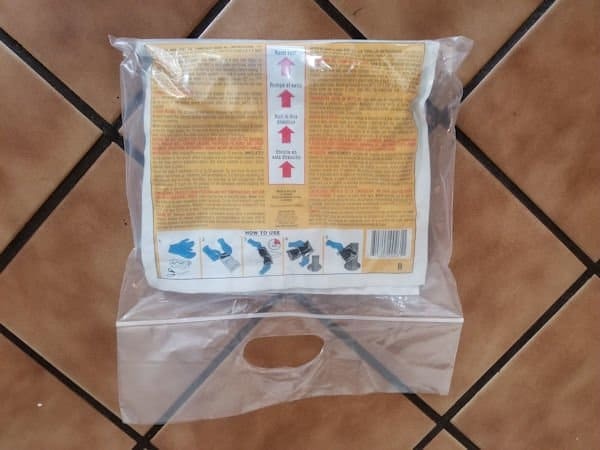 The instructions say to actually pour the liquid onto the post not just into the hole. 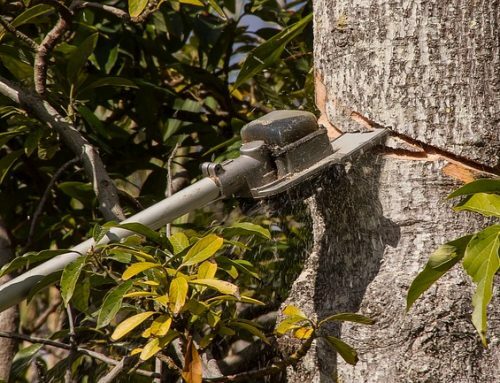 Making contact with the post allows for a better bond with the post and also helps protect the post from rot if you are using a wooden post. Despite the fact that my hole diameter was larger than 8″ inches and the depth was only 19″ inches I felt confident the foam would fill the hole just fine. After pouring the foam it quickly started to rise and after a couple of minutes it began to overflow the top of the hole. After the foam stopped flowing it easily filled the entire hole and came up and out of the hole quite a bit as well. Everything worked nicely, the instructions say to wait 2 hours before doing anything to let it fully cure. After waiting a little over 2 hours I checked the results. Everything looked good, I pushing on the post a little bit to see how well it was holding. I was pleasantly surprised that it seemed to be working quite well. Satisfied with my little quality control test I proceeded to take a hand saw and a small knife and cut off the excess foam that had overflowed out of the hole. This turned out to be more difficult than I thought, the foam is pretty strong and it took some effort to cut it back. I even cut down a little into the hole so that I could place soil on top to hide the foam. I then attached the mailbox and made sure everything was still sitting level and checked my measurements one more time. Everything looked good. So far it seems to be working very well. Of course time will tell how long this will last. I have read that utility companies use foam to install telephone poles so that gives me confidence that this will work just fine. The other benefit I see is if for some reason I ever need to remove the mailbox post it should be much easier to remove the mailbox post secured in foam rather than secured in heavy concrete. That benefit alone makes it worthwhile for me to use the foam. 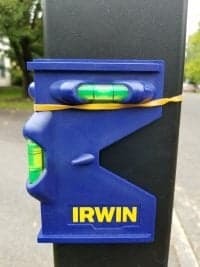 I think this is the best mailbox and mailbox post available. It is a great looking setup and the foam made installation very simple. If I was going to do it all over again I would do it exactly the same way. 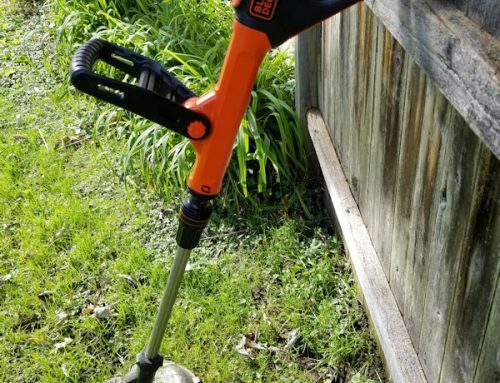 Make sure to take a look at the Best Weed Eater reviews so you have something to trim the grass that will grow around your new mailbox post.